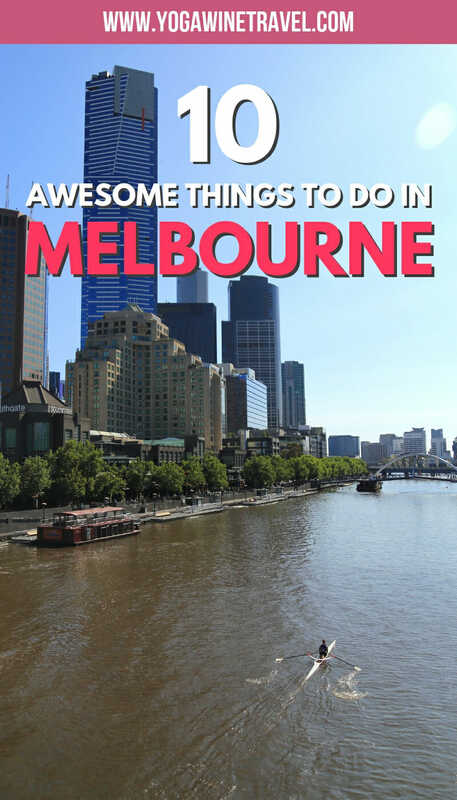 Let me help you compile a list of the best things to do in Melbourne so that you can eat, drink and play to your heart's content! 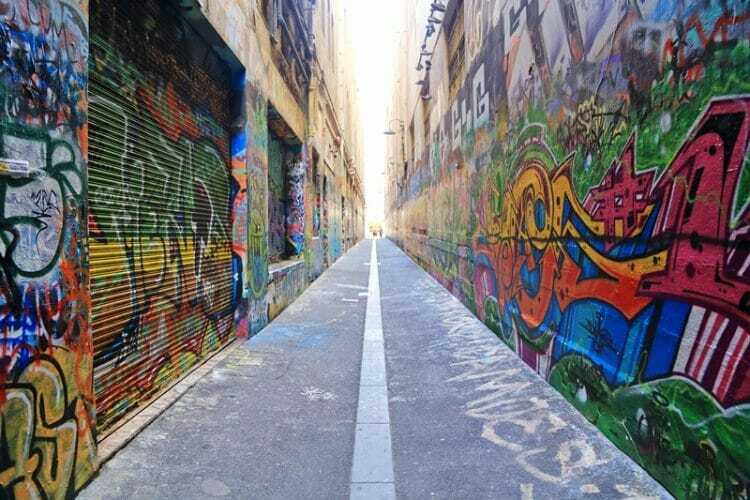 Melbourne is one of the top destinations in Australia, second only to Sydney (curse you, Sydney Opera House for being so damn iconic) and is renowned for incredible food, coffee, wine and world-class street art just to name a few. I studied at the University of Melbourne and have fond memories of the city, though most of the time I was itching to get back to Hong Kong and/or studying like a nerd. As a student, I also didn’t have a wad of cash to throw around so most of my time in Melbourne consisted of $10 parmagiana and $2 beer nights! These days, I am fortunate that I still have great friends in Melbourne (i.e. an excuse to visit) and have been able to go back and visit every year-or-so to devour the food, drink and sights in all their glory. 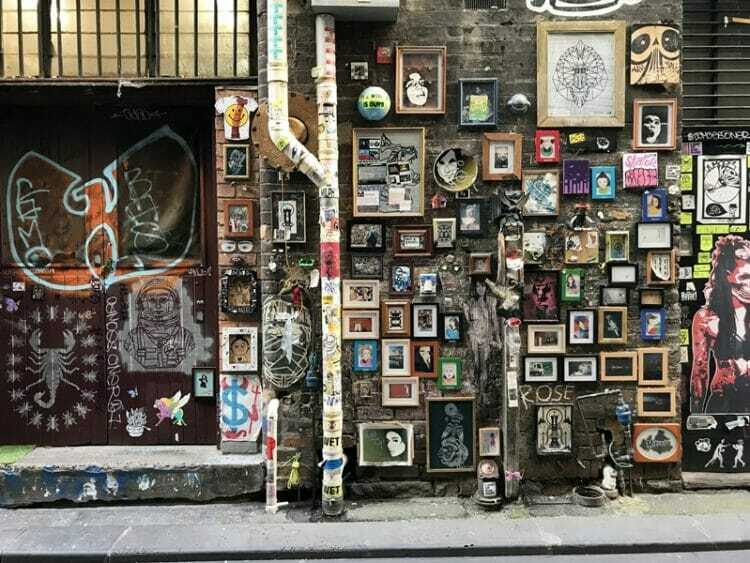 Here are some of the most amazing things to do in Melbourne, where to eat and drink and the best places to stay in Melbourne! Heading down under? Head on over here for even more Australia travel tips and destination guides! To get into Melbourne you’ll need to fly into Tullamarine International Airport. 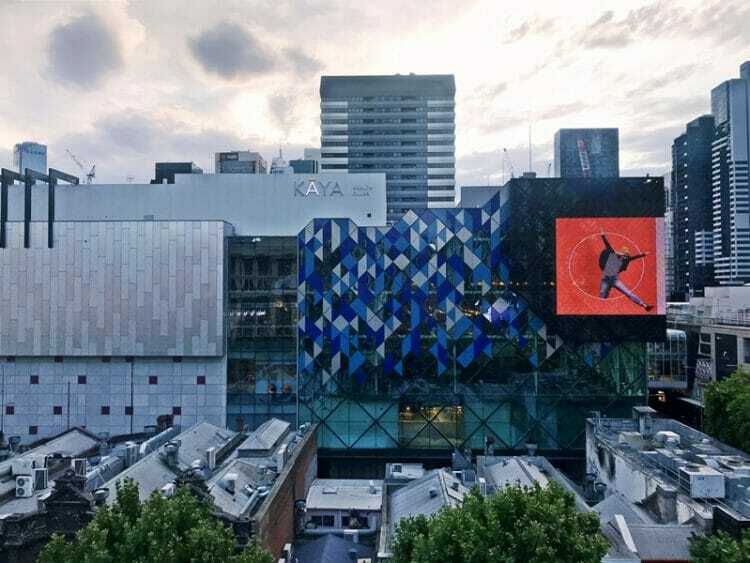 An Uber from the airport to the city costs approximately 45 AUD (32 USD) and takes about half an hour, or you can hop on a shared Skybus airport shuttle to Spencer Street Station in the CBD for 18 AUD (13 USD) if you aren’t in a hurry. Click here to book your Melbourne airport shuttle ahead of time and get 10% off! The currency is the Australian Dollar. The exchange rate is approximately US$1 to 1.4 AUD, though most places accept credit card. Credit card payWave in particular is widely accepted and a convenient way to pay in Australia. Get around Melbourne on foot, tram, Uber or train. However, Melbourne has pretty much eradicated paper tickets so you should purchase the Myki card (similar to London’s Oyster or Hong Kong’s Octopus card). You can buy a Myki at all 7-11 outlets, from a Myki machine (only in select locations) or one of the premium train stations – complete list of places to buy your Myki here. Stay connected and pre-buy a local SIM card. The airport sells prepaid SIM cards for 20 AUD for 12 GB of data – I typically go with Optus. You pretty much never have to pay full price for admissions tickets in Melbourne. Just click here and search for places you want to go, and book online for discounted entry or head on over here to read more about how to use Klook to book travel experiences. The weather in Melbourne is notoriously unpredictable, and can be cold/rainy even during the summer months. That being said, the Australian summer from December to February is the most popular time of year to visit Melbourne, though the months on either end of the peak season are great too. If you want to avoid the crowds and peak season hotel prices, visit Melbourne in October, November, March or April. Melbourne is cooler than most other Australian cities – expect sudden rain showers and windy days. Make sure you pack warm clothes, even if you’re visiting in summer! 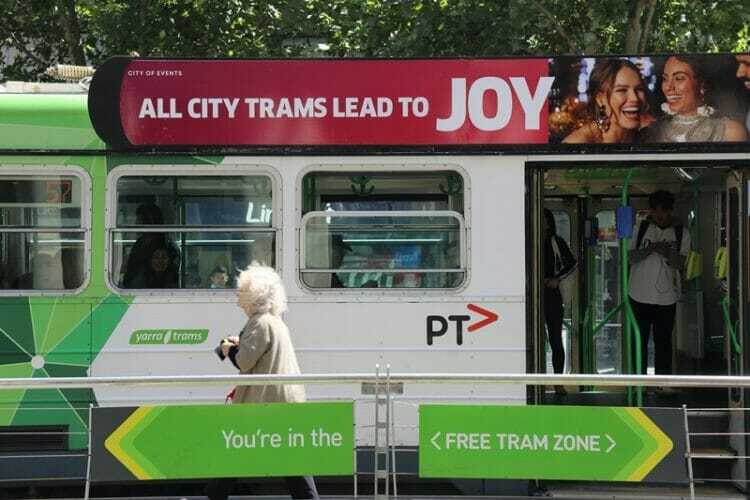 If it is your first time to Melbourne, you should aim to stay in the CBD or in Carlton, Parkville, Richmond, Southbank or South Yarra where you can reach the CBD easily via tram or train. We stayed at The Larwill Studio, a boutique hotel in Melbourne that is design-focused with modern amenities, a 24-hour gym and spacious rooms. 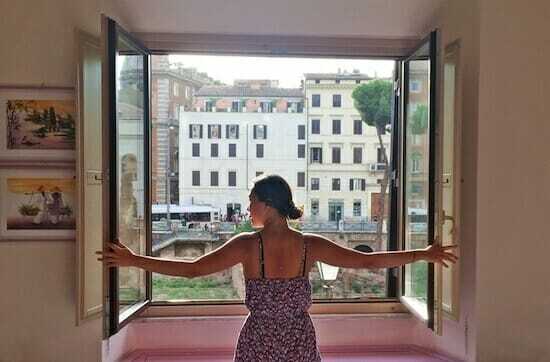 The hotel offers both twin or king bed configurations, and some rooms have a view over the park or the city. Just outside the hotel is the tram station where you can hop on a tram straight to the CBD and Flinders Street Station, and the airport is a AUD$35-40 Uber ride away. You can check out room availability and current prices at The Larwill Studio by clicking here, or take a look at some other highly rated accommodation options in Melbourne here instead. 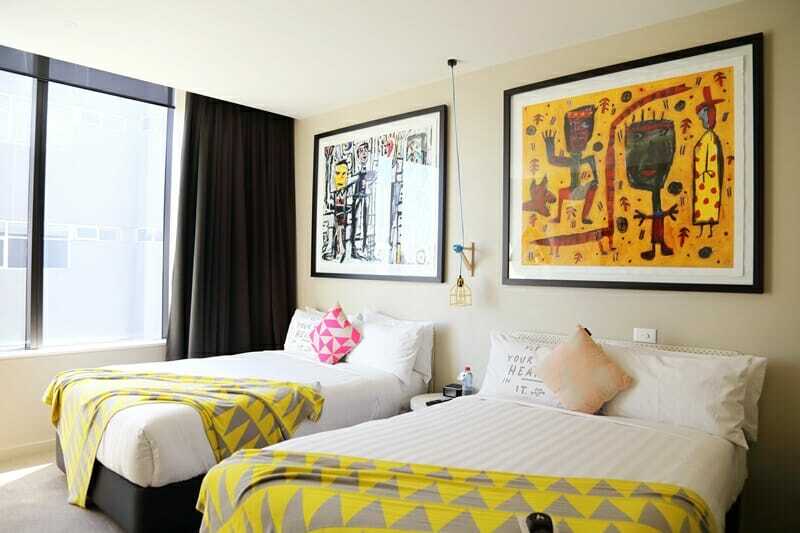 Melbourne room rates tend to go up from early December to around February during the Australian summer, so make sure you book your room ahead of time! There are many beautiful places to visit in Melbourne and the city features unique European-esque architecture. It’s a wonderful city to wander around aimlessly in, and you’re sure to stumble upon a hidden gem or two. Read on for my recommendations for 10 things to do in Melbourne if you don’t have much time in the city! What is a shot tower, you ask? A shot tower is a tower designed for the production of small diameter shot balls used for shotguns, ballast and radiation shielding. 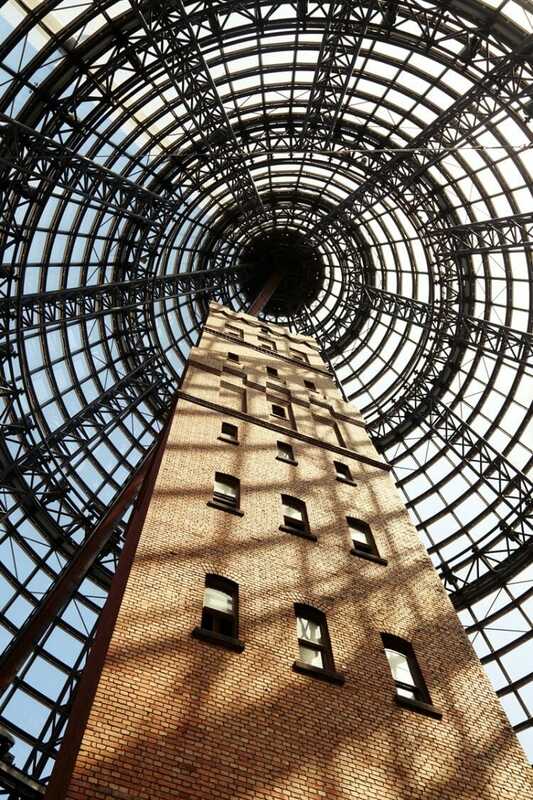 This one located in Melbourne Central shopping mall is one of only three 19th century shot towers remaining in Australia and stands at 50-metres tall. It is an important heritage site in the state of Victoria and you can tour the shot tower museum inside the second floor of the tower. 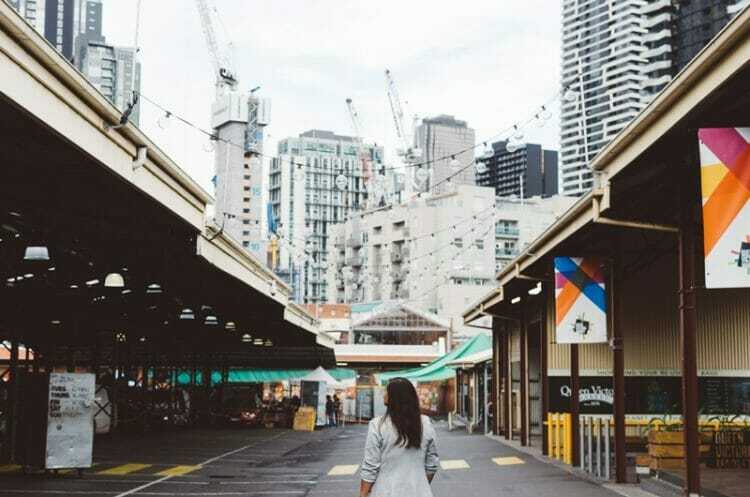 Queen Victoria Market is one of the most important landmarks dating back to the late 1800s. Spanning two city blocks on the fringe of the CBD, the market attracts nearly 10 million visitors each year and is home to more than 700 small businesses, most of which are family-owned and operated. It’s a fantastic place to explore if you love fresh food, good coffee, handmade products and unique souvenirs. The market closes Mondays and Wednesdays, and closes early at 2 PM on Tuesdays and Thursdays. However, during the summer months you can check out the night market which runs on Wednesday evenings. 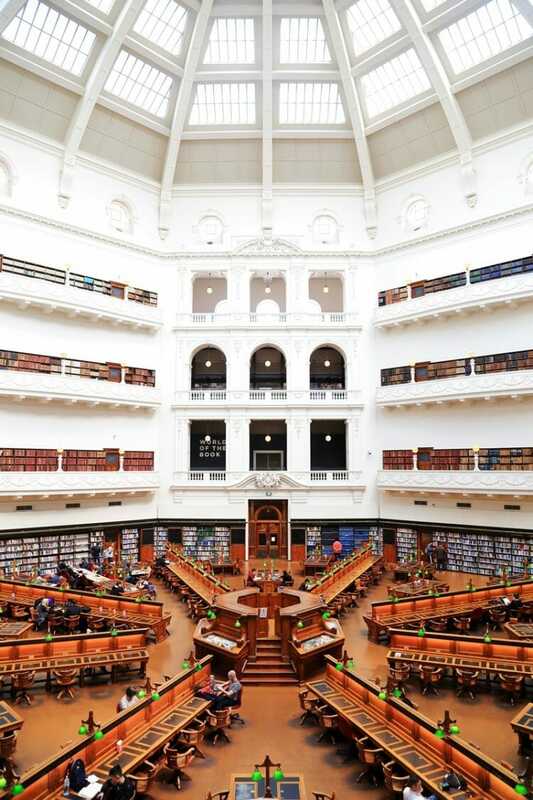 The glass dome and La Trobe Reading Room is one of the most Instagram famous places in Melbourne. It was officially opened by the Governor-General in 1913 but experienced a number of issues including falling plaster and rainwater leakage. The dome has since undergone significant renovation works and today is a popular Melbourne tourist attraction. You can take the elevator to the 4th floor and take an elevator or walk up to the dome observation deck, but make sure you are quiet and not obnoxiously stampeding around for that Instagram shot – is it a library, after all! 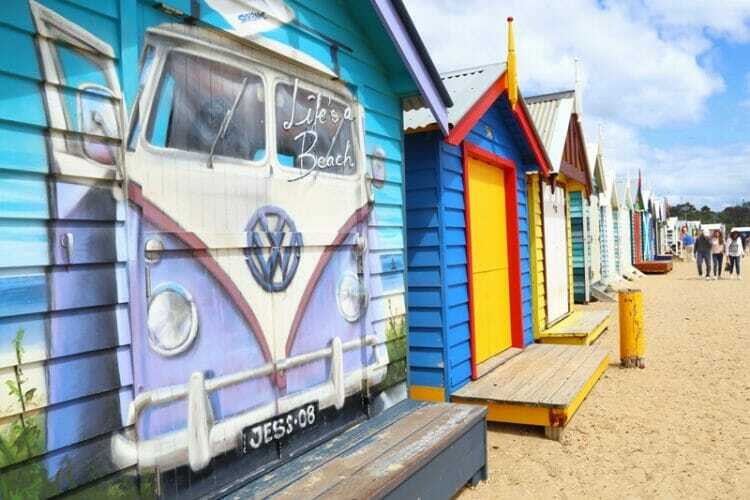 These colourful beach boxes are one of the best sights in Melbourne (and very popular with Instagrammers, as you can imagine). The 82 Brighton bathing boxes are unique because of their uniform scale and proportion and building materials, and are the only remaining structures of their kind close to the Melbourne CBD. 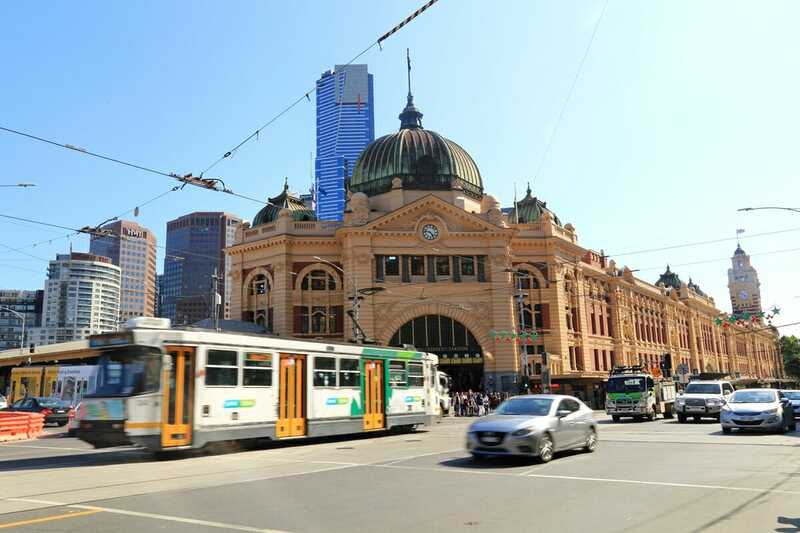 The Brighton beach boxes are a bit of a pain to get to – your best bet is to take the Sandringham line from Flinders Street Station and get off at Middle Bright station. From there, it is an easy 10-15 minute walk to the beach. Brighton is a great place to explore with lots of shops and cafes – check out Brighton Soul on Church Street for scrumptious brunch options. Though St. Kilda beach isn’t one of the best beaches in Australia, it’s still worth heading over to this neighborhood to check out the boardwalk (home to a penguin colony – you can see them occasionally if you’re lucky), the local pastry and cake shops and Luna Park, an amusement park that has been around for more than a century. 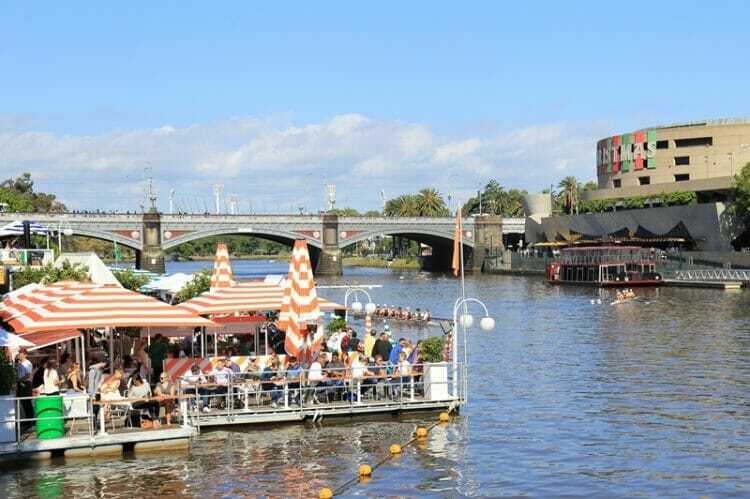 Arbory Afloat is a floating bar that is open during the summer and spring – the perfect venue for summer cocktails and wine! 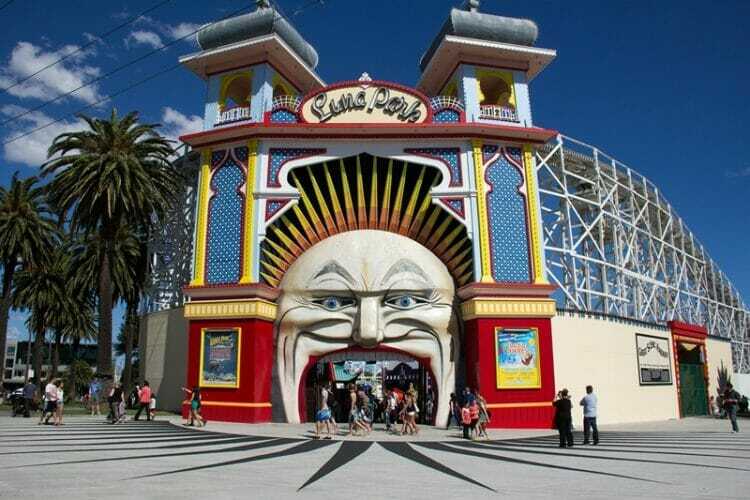 It is seriously chic and is one of the coolest places to visit in Melbourne. Get here early to grab a table, or book a table for lunch via their website. Heck, visit all of the rooftop bars! 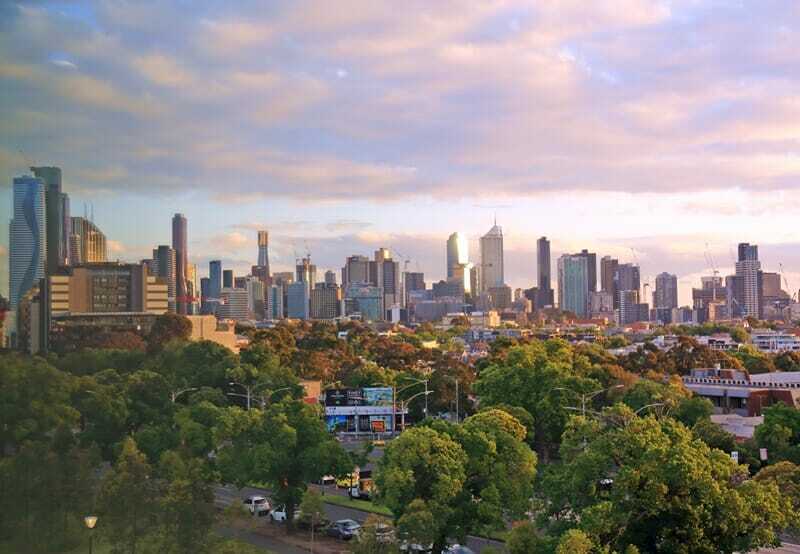 There is no shortage of them in Melbourne, all boasting unique views and the perfect place for sun-downers. Some of my favorites include Siglo, Goldilocks, Cookie and Naked in the Sky. You might not end up buying anything, but the Block Arcade is still worth a gander if only to admire the unique architecture featuring mosaic floors and stained glass windows. 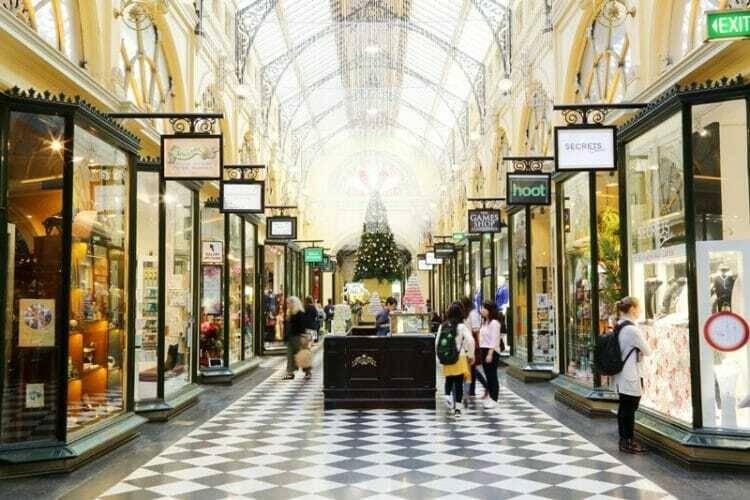 It’s one of the most beautiful heritage buildings in Melbourne, and dates back to the late 1800s – the arcade cost over 46,000 Pounds to build back in the day! 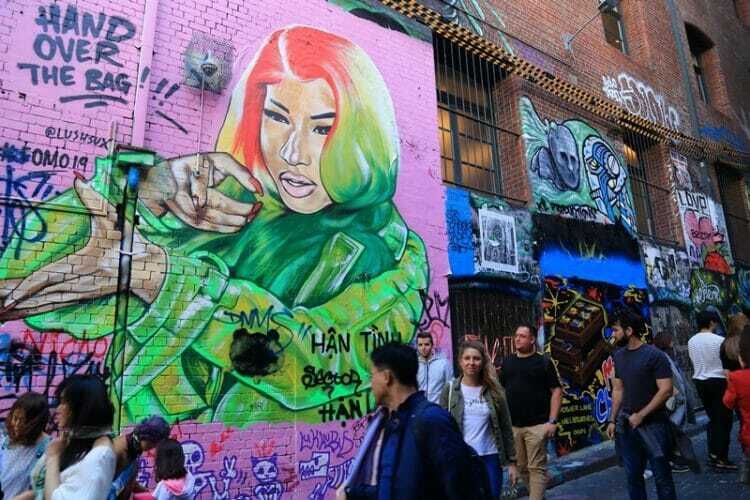 Melbourne is famous for street art and it does not disappoint. Don’t limit yourself to Hozier Lane though as beautiful murals can be found throughout the city. Make sure you also check out AC/DC Lane, Strachan Lane, Union Lane, Hardware Lane and Presgrave Place. Wondering where to eat in Melbourne? Melbourne is chock-full of incredible restaurants. Head to Pacos Tacos for, you guessed it, tacos; Longrain for incredible Thai fusion; Lucy Liu Kitchen and Bar, GoGoBar or Chin Chin for Asian fusion; and Tonka for modern Indian. 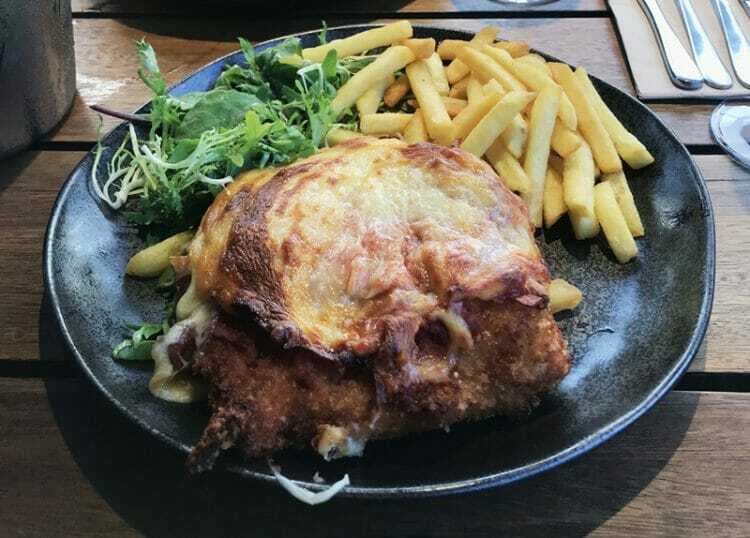 Also make sure you don’t miss out on the Australian classics – hit up a pub for a chicken parmigiana or steak! 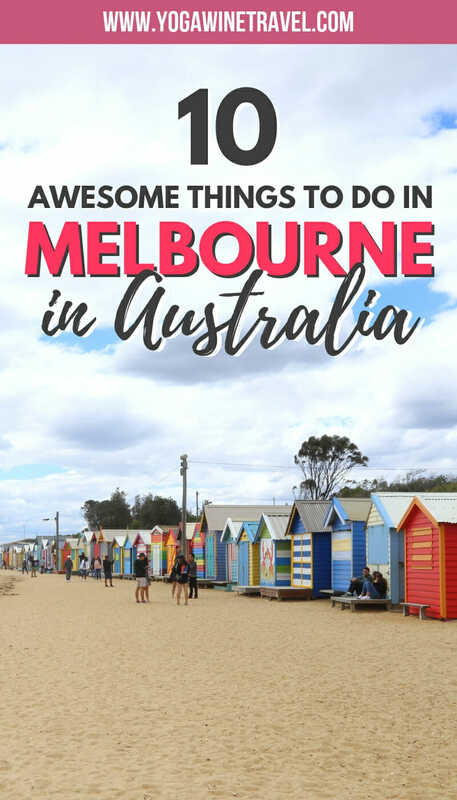 If you have some more time and are looking for places to visit outside Melbourne, here are some fantastic Melbourne day trips for you to go on! 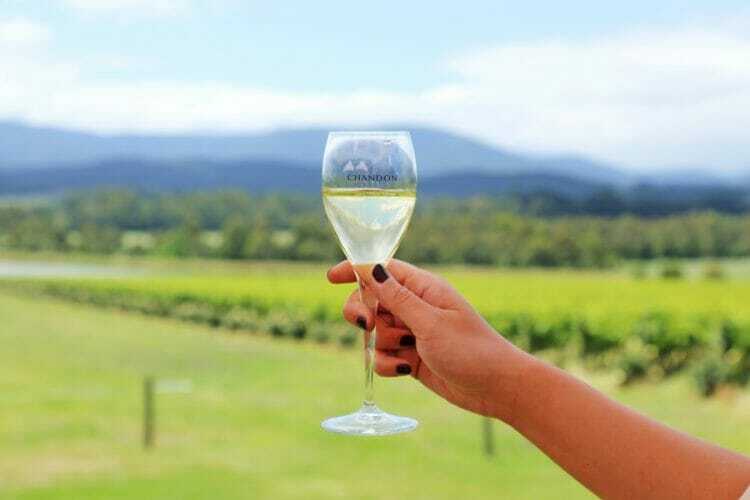 If you want to get off-the-beaten-track in Melbourne (yes, there’s more to Melbourne than the street art and coffee), then you absolutely need to go on a Yarra Valley winery tour to try the award winning Chardonnay and Pinot Noir. Though the Yarra Valley wine region is best known for these two types of wine, there’s plenty of options including sparkling wine, dessert wine, Cabernet Sauvignon and Sauvignon Blanc. If you’re looking for things to do near Melbourne, the Yarra Valley is only 1 hour away by car. The best way to travel to the Yarra Valley from Melbourne is by booking yourself into a small-group day tour – but the question is, which one? There are dozens and dozens of Yarra Valley wine tours, all at varying price points and with slightly different itineraries. After reading through hundreds of reviews, we decided to book the Yarra Valley Food & Wine Day Tour with Vinetrekker. 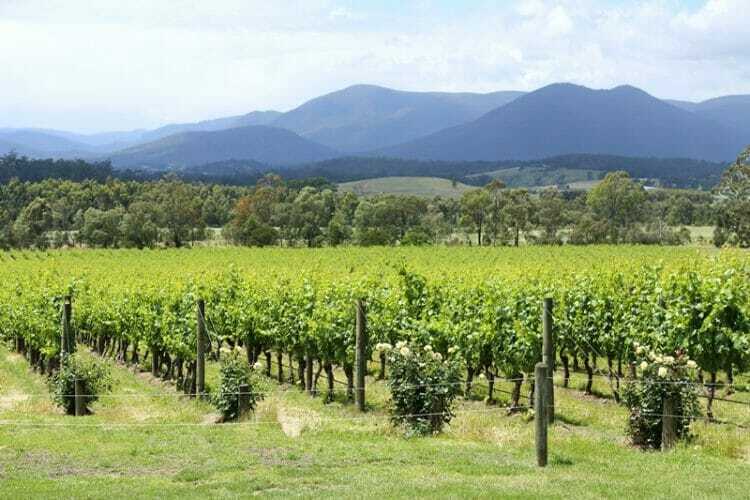 Read more about visiting the Yarra Valley here! Phillip Island is located about 2-3 hours away from Melbourne and is home to the famous Penguin Parade, where you can watch hundreds of penguins come ashore at dusk. You are not allowed to take photos of the penguins in order not to disturb them, but it is well worth the long day trip to see these fluffy little creatures waddle their way out of the ocean and onto the beach. There are many Phillip Island day trip tour operators, you can check them out on Klook and book in advance here. 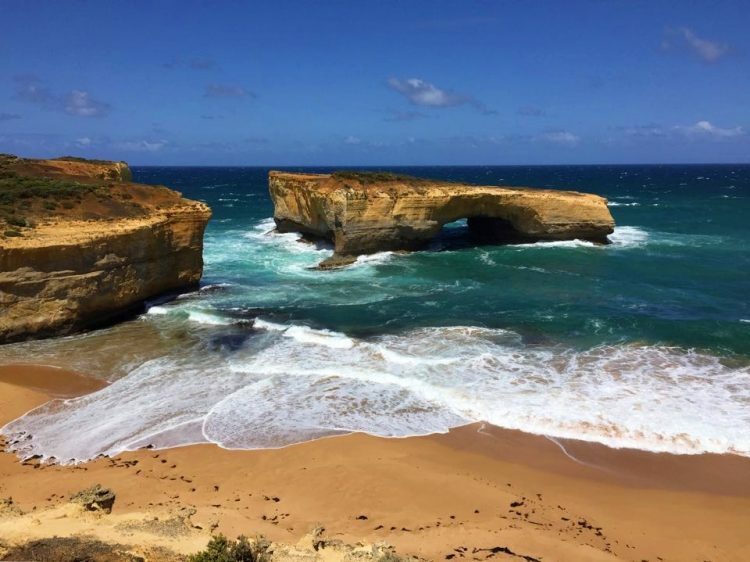 Going on a day trip along the Great Ocean Road is a must-do if you are spending time in Melbourne or Victoria, especially as Mother Nature has been grinding away at the rock formations and many have disintegrated over the past few decades. The road is filled with outrageously beautiful pit stops where you can stop and marvel at the craggy coastline. It is incredibly easy breezy to do the trip if you have access to a car; otherwise, there are plenty of tour companies that offer group day trips to the area, albeit you will lose some flexibility in your agenda. Check out some of the organized tour itineraries and offerings for the Great Ocean Road here, if you book via Klook you can get approximately 10% off the price of the tour! 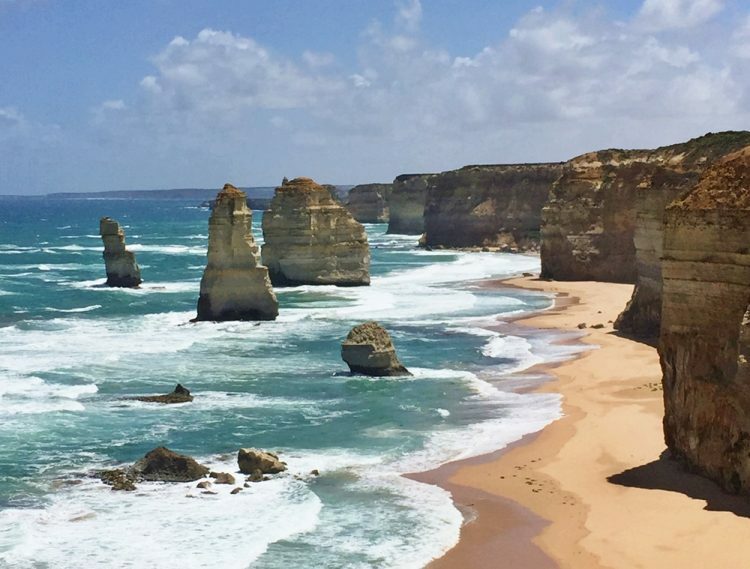 Read more about visiting the Great Ocean Road here! Ready to book your trip to Melbourne? I recommend booking yourself into The Larwill Studio, a short tram ride away from the CBD, or within the city itself. Click here to check current rates at The Larwill Studio or head on over here for more accommodation options in and around Melbourne’s CBD. I joined Vinetrekker for a full-day tour of Yarra Valley as a guest; however, no compensation was received for the review, and as always, the opinions on Yogawinetravel.com are (and always will be) my own! I only recommend products, services and hotels that I have had positive personal experiences with. This article contains affiliate links. If you choose to book using these links, I will earn a small commission at no extra cost to you – thank you for supporting my website by using these links! 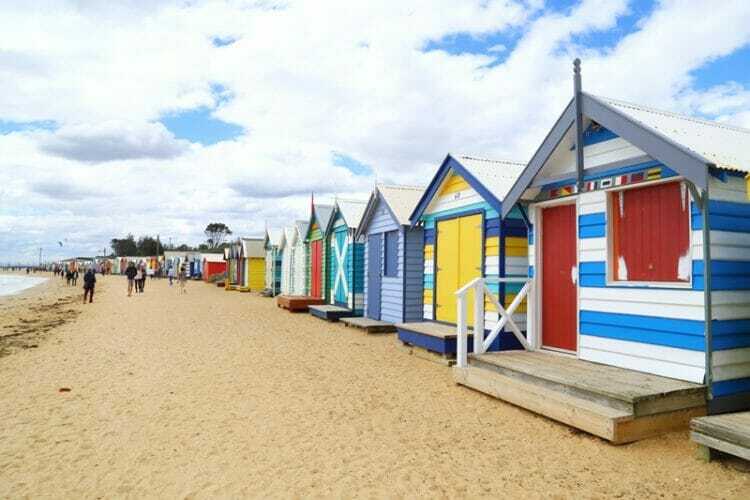 Amazing blog and I love to travel in Melbourne specially in Yarra valley and Ocean road. You have mentioned almost all tourist destinations places in your blog. This will definitely help for the one who wants to travel to Melbourne. Hi! Thanks so much for taking the time to read this. Melbourne is a fantastic city and I can’t wait to go back!